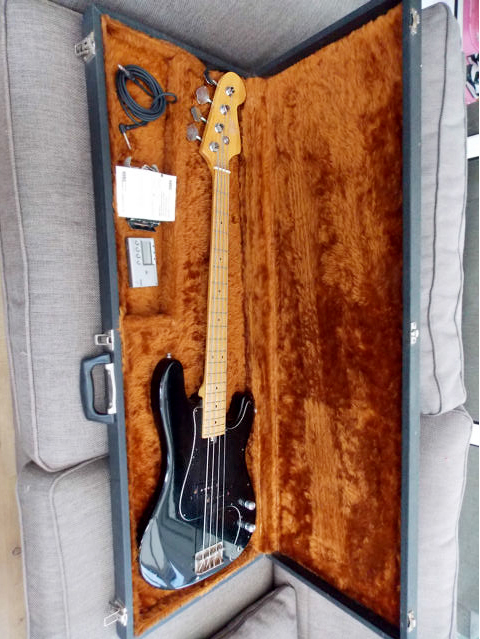 I just bought another Hondo II P-bass on eBay, this time for my work colleague Verushka from the Barcelona based punk band Sect. The listing stated that the bass was untested so hopefully it doesn’t work and I got a lot of work to do before it’s ready to be played. Dani is selling his Hondo II but Verushka and I decided that black was more her and then we found this beauty.